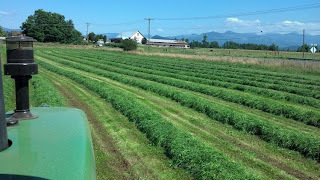 I have two favorite seasons: hay season and show season. Conveniently they are both in the summer. 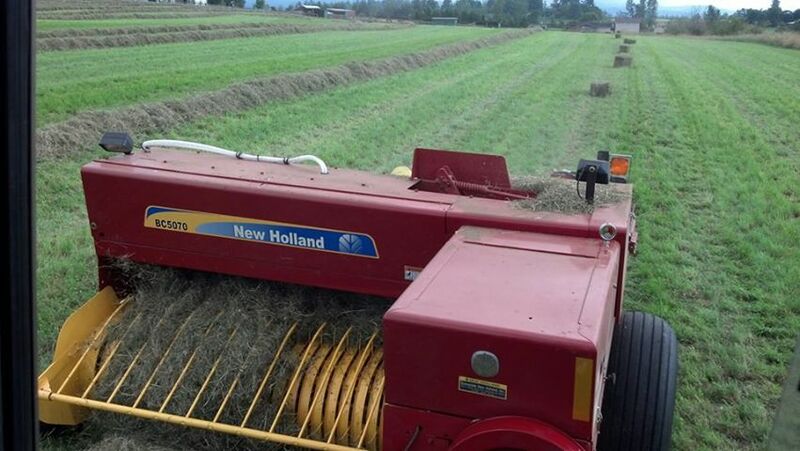 Weather in western Washington is such that we usually get our first cutting of hay by 4th of July. 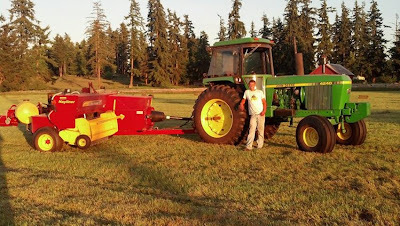 School was out around June 23rd or so every year, so it was just about time for Grandpa to start cutting hay. There's nothing I love more than the smell of fresh cut grass/hay. That just screams "SUMMER!!!!" to me. Needless to say, summer is my favorite season. 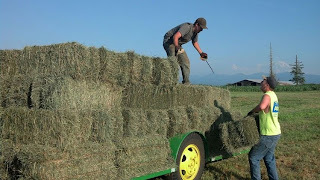 As a kid, it was 10 weeks of no school, lots of time at the farm with the show cows, fun times showing our cows at the county fair at the end of July and of course, putting in hay. 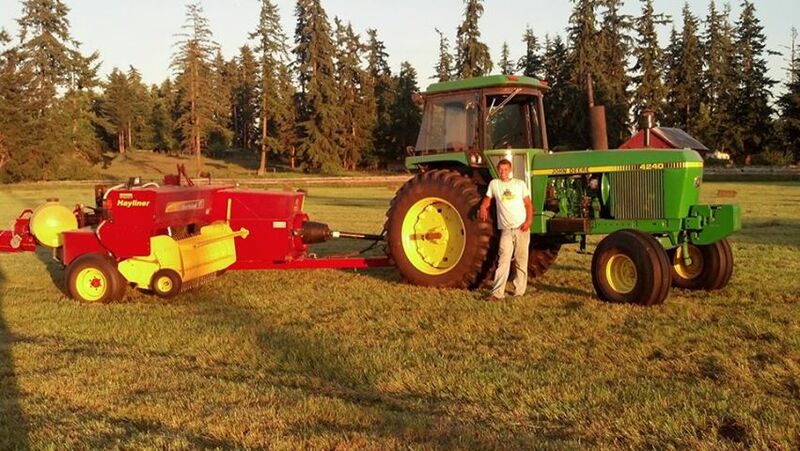 Grandpa doesn't get on the tractor anymore, but my brother sure makes up for it. Right now, he has 13 fields cut and it's June 24th. 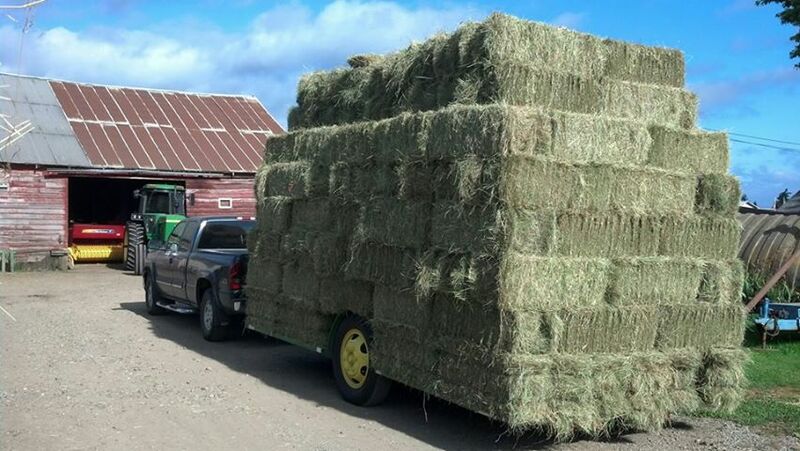 We're in a drought right now, so that means hay season is early. It's been dry and it's supposed to be in the 90s later in the week. One of the awesome things about using the larger cab tractors instead of the smaller open cab tractors is that there is a buddy seat and I can ride along. I was excited when my brother asked if I wanted to ride along to bale hay across the road last night and then again to ted hay for the better part of the afternoon today. 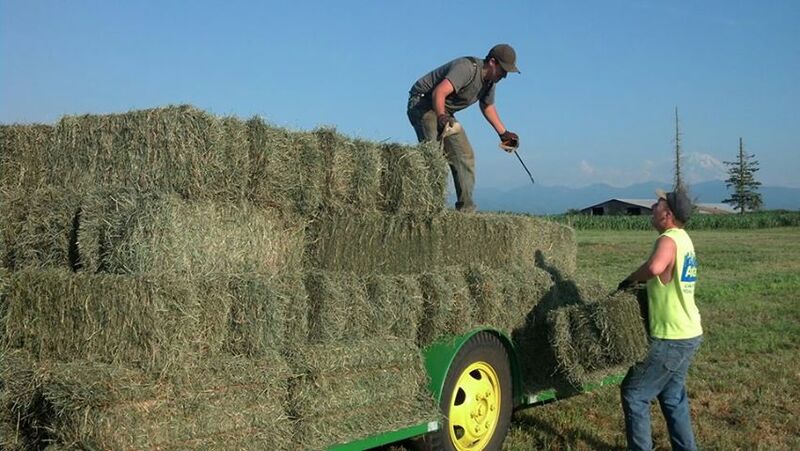 Tedding kicks up the hay after you cut it to help it dry. After tedding, it's raked into windrows and then baled. If all goes as planned (and you know it often does not), we're raking and baling the back field tonight. Looks like I'll get my tractor driving job back! We stopped for a few minutes at the third or fourth field. They have a blueberry patch and said we could have some, so I took a few minutes for some farm photography of the tractor, tedder and blueberries. Don't those berries look good! I've talked about how we all (including farm folks) need to watch out for equipment on the roads during planting and harvest seasons in the spring and fall, but hay season also brings farm equipment onto the roads. Sometimes, you just can't avoid a main highway. As we were driving between the five or so fields this afternoon, we ended up on the main highway a few times and also spent a bit of time on the back roads. Our area is so pretty! In some parts of the town, there's a dairy wherever you look. Interesting! Thanks Kimmi. Here in Illinois our first cutting comes more about mid May!